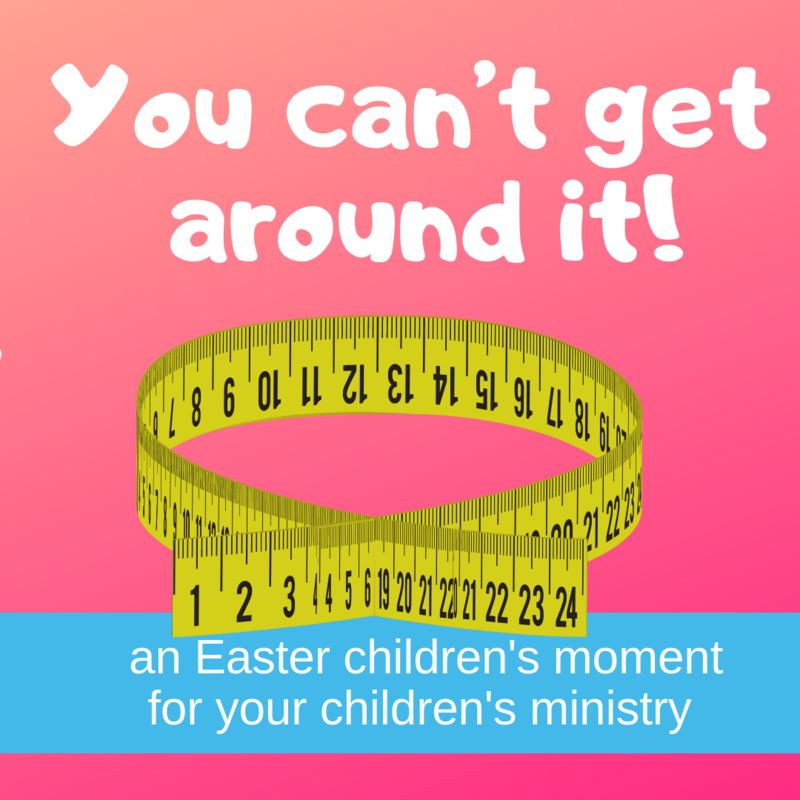 This Easter lesson will help the children in your Sunday school lesson, youth ministry, Bible lesson, VBS, kidmin, children’s church or children’s ministry to reflect on this powerful Bible passage. 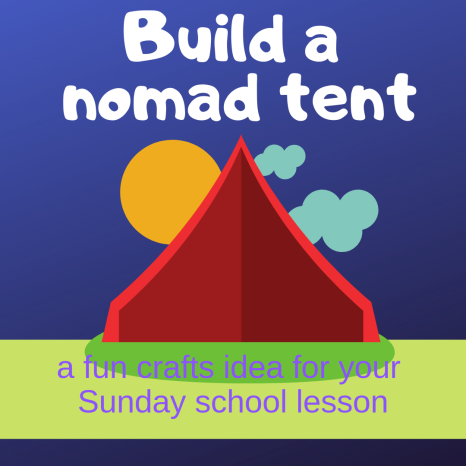 We understand that these thirteen ideas are way too many to fit into just one Sunday school lesson, but we want to give you the opportunity to pick and mix, so that you can choose the ideas that fit with you and with your group of children. We have created an illustrated PDF booklet containing these creative ideas. Using this PDF booklet you can print all these ideas at home at your leisure. 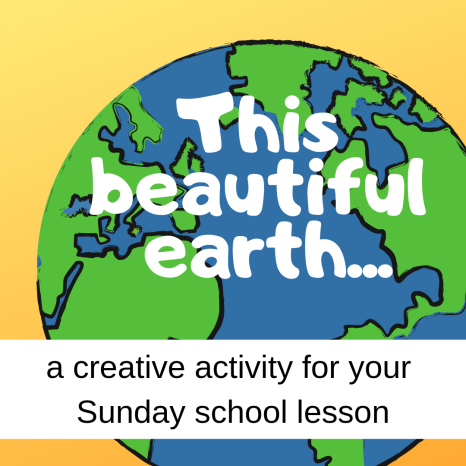 You can download the complete Sunday school lesson below if you are a member of Creative Kidswork. 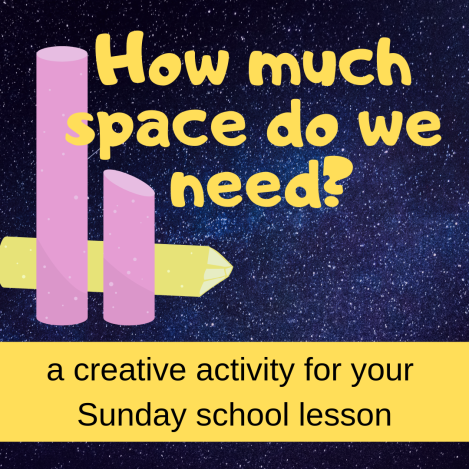 You can become a member for just 25 dollars a year and have access to this Sunday school lesson (and all the other complete Sunday school lessons) and all the other great ideas here on the site. Jesus is alive! Nothing is impossible with God! And God wants to make impossible things possible through our prayers. 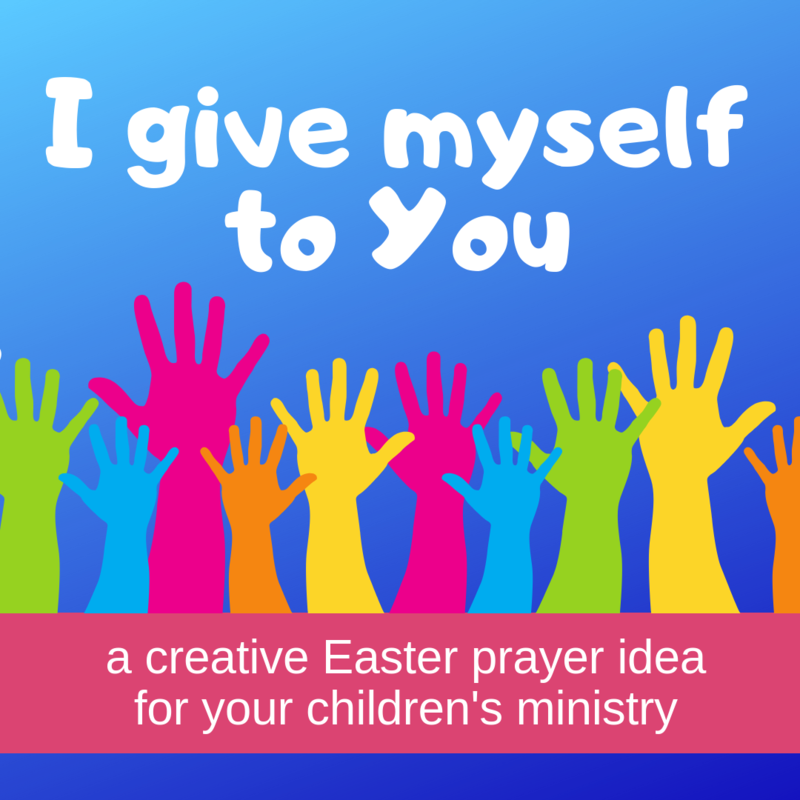 This prayer idea will help the children in your Sunday school lesson, youth ministry, Bible lesson, VBS, kidmin, children’s church or children’s ministry to reflect on this powerful Bible passage. The cross is empty. The grave is empty. Jesus has risen. Let’s show that to the grown ups! 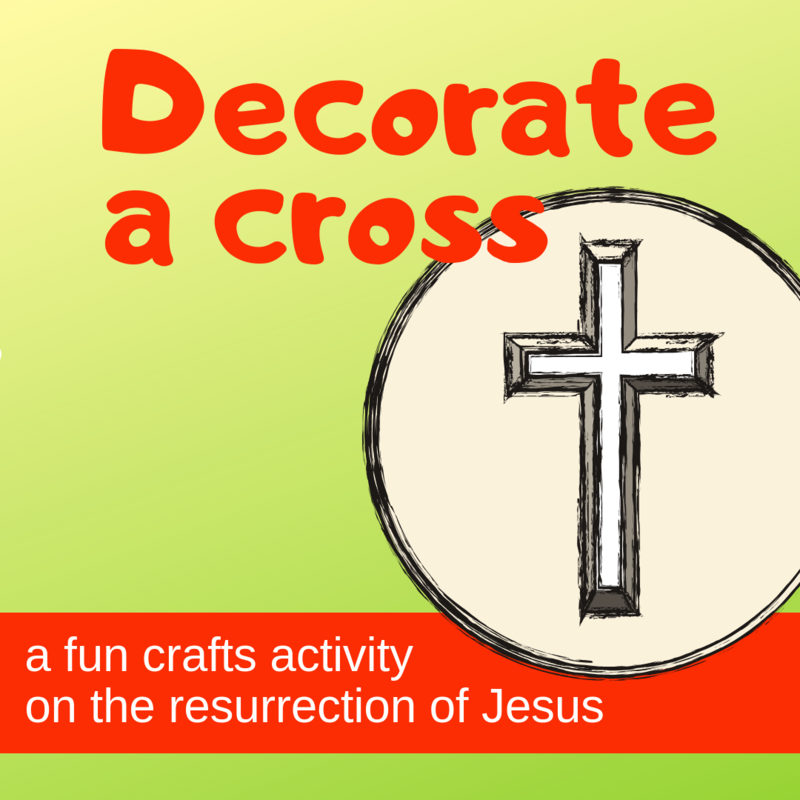 This crafts activity will help the children in your Sunday school lesson, youth ministry, Bible lesson, VBS, kidmin, children’s church or children’s ministry to reflect on this powerful Bible passage. Saw the planks to the right size beforehand, so that the children only need to hammer a couple of nails into them to make the crosses. 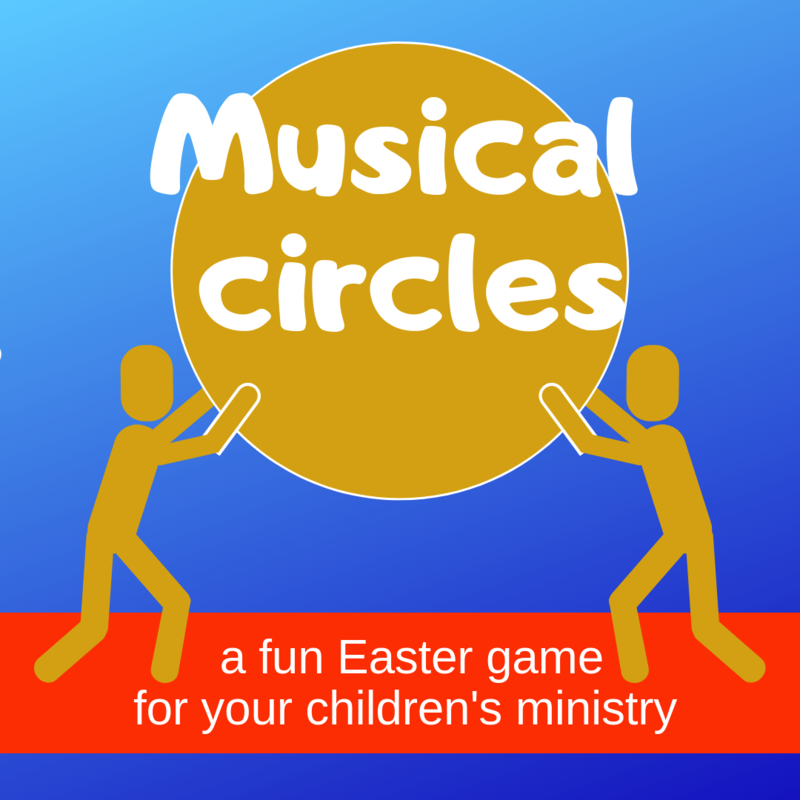 A fun way to take the children through the story of Easter using coloured circles….. 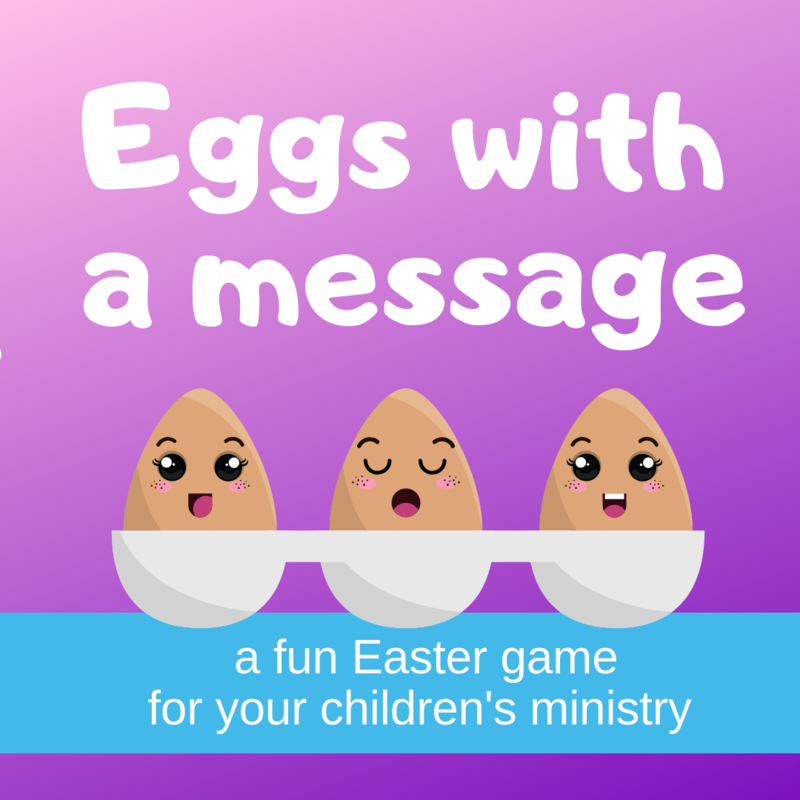 This fun Easter Bible game will help the children in your Sunday school lesson, youth ministry, Bible lesson, VBS, kidmin, children’s church or children’s ministry to reflect on this powerful Bible passage. - sheets of A4 paper in the following colours: green, pink, red, purple, brown, blue, black, white, grey, yellow. Cut circles out of each sheet of paper. If you don’t have any time for this, you can just use the A4 sheets. You need one circle for each child in the group, so if you have more than 10 children you will need more than one of each coloured circle. What’s more fun than an egg hunt at Easter? Especially when you’re hunting for eggs with an Easter message. 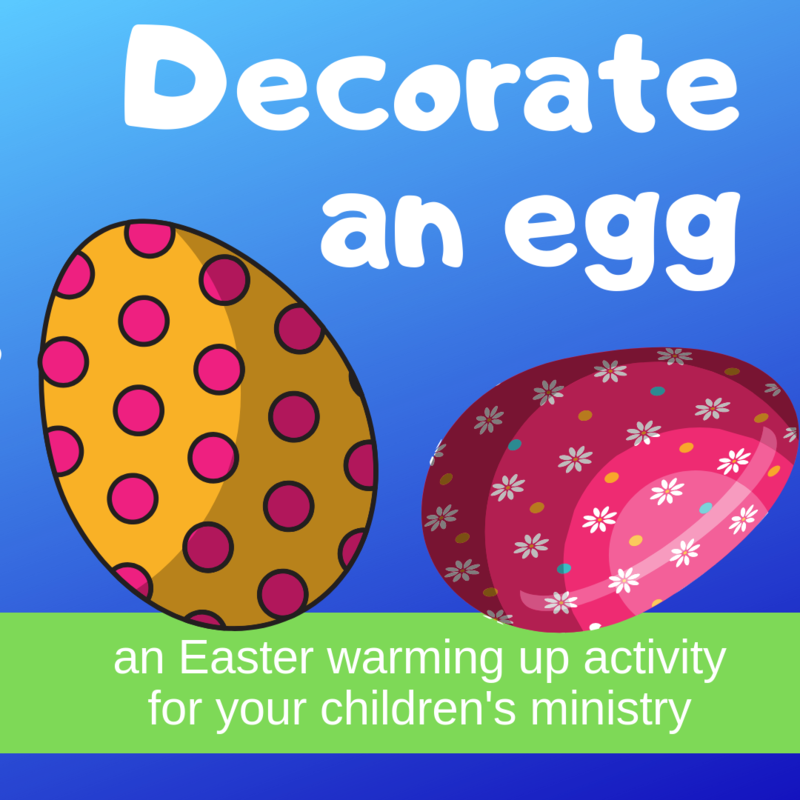 After the children have found these special eggs with their unique fillings you can tell the Easter Bible story in a new and interactive way. 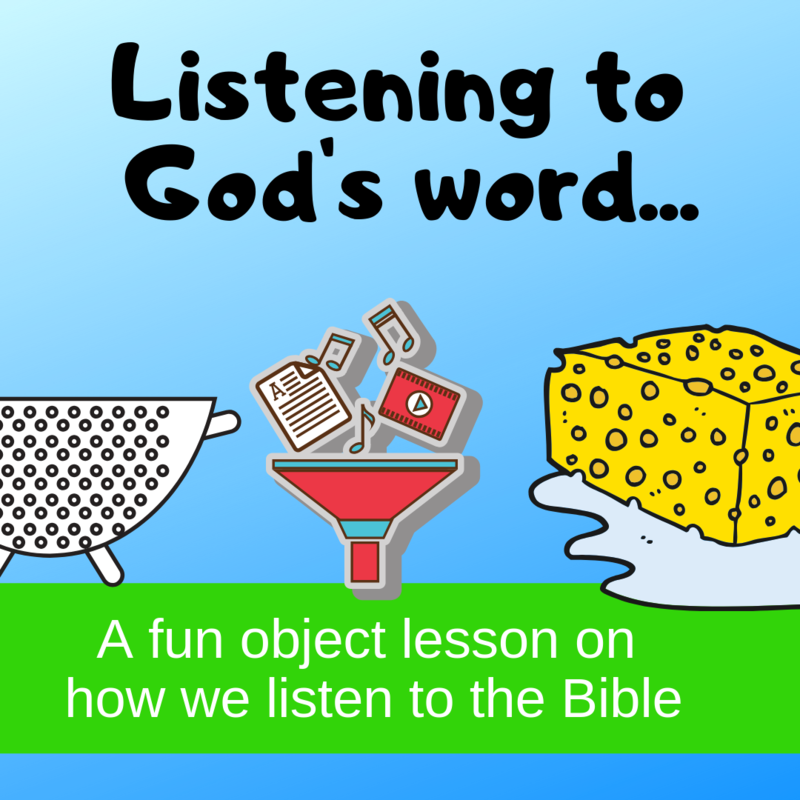 This is a really enjoyable and simple object lesson that you can use to visually demonstrate to children how people listen to God’s word, and how we can best listen to Gods word. 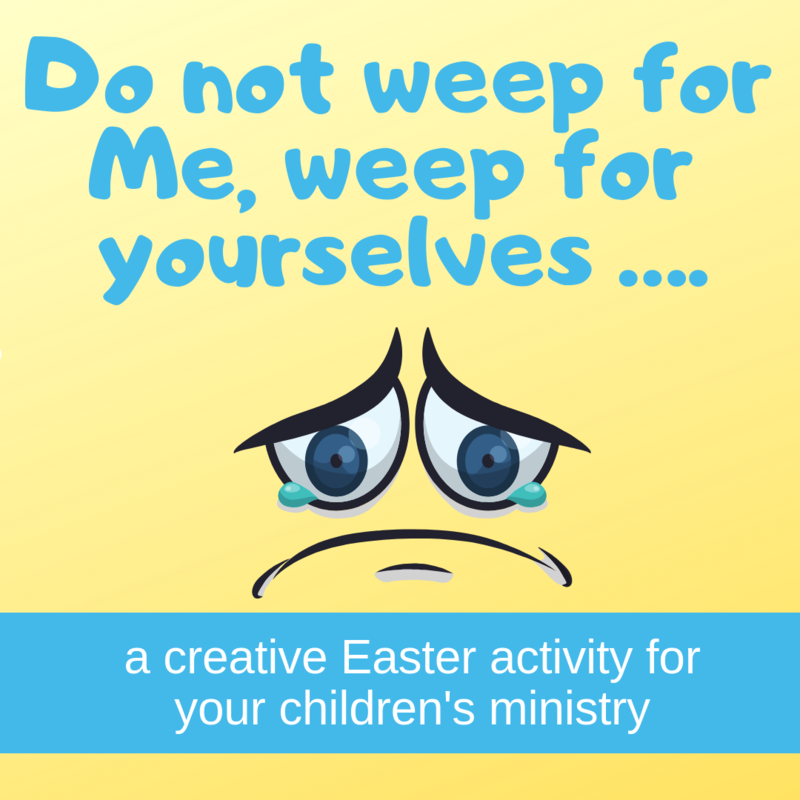 It is ideal for a children’s moment in church, for using in the classroom or in a Sunday school programme. 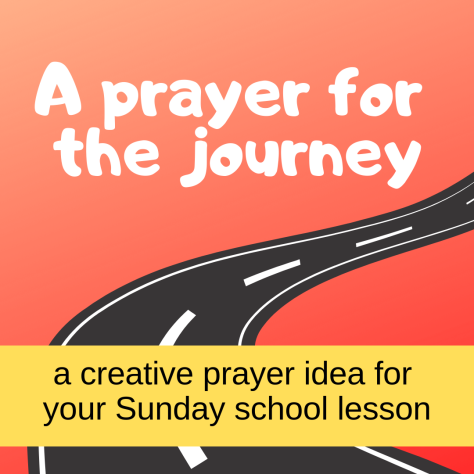 You can also use this idea to talk to the children about the importance of the Bible and Bible study. This idea can be combined with a Bible lesson about the parable of the sower in Matthew 13:1-23, Mark 4:1-20 and Luke 8: 4-15. It is also fairly simple to link it to the fruit of the Spirit in Galatians 5: 22 – 23. The tomb is empty, but where is Jesus? 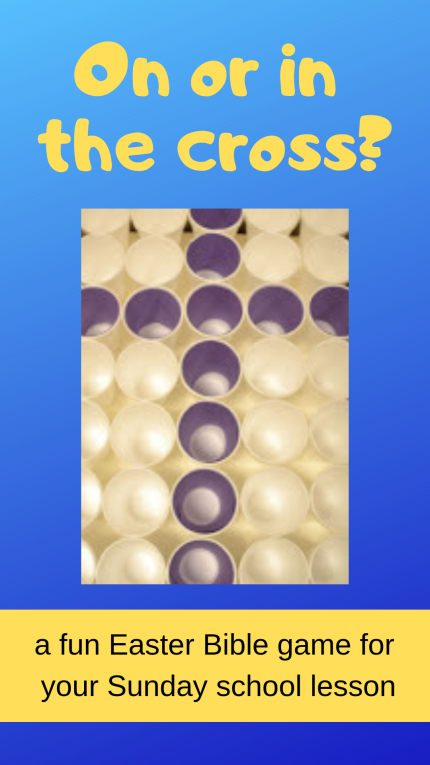 This craft activity can also be used as an object lesson and a fun science experiment. It will help the children in your Sunday school lesson, youth ministry, Bible lesson, VBS, kidmin, children’s church or children’s ministry to reflect on this powerful Bible passage. A fun science experiment that will surprise you! 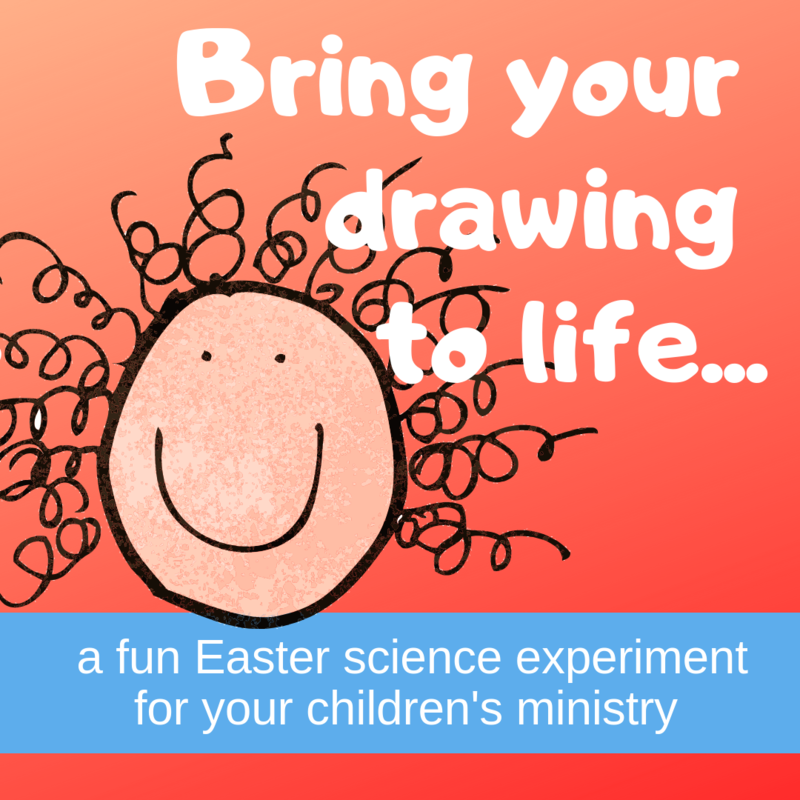 In this ‘magical’ experiment we can bring our drawings to life. This has to be seen to be believed. Watch the two videos below and all will become clear. 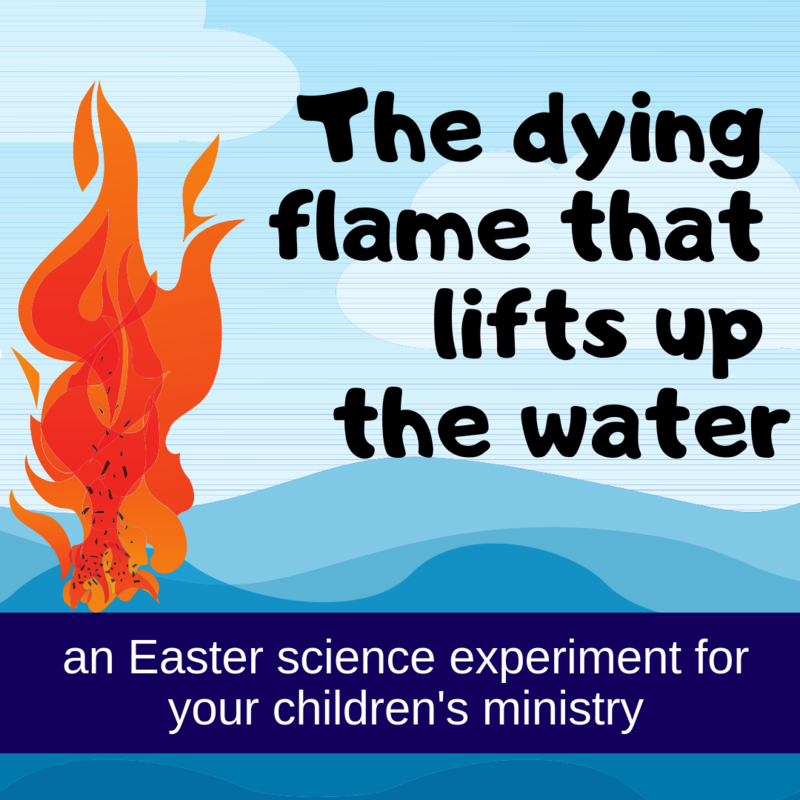 This cool science experiment will help the children in your Sunday school lesson, youth ministry, Bible lesson, VBS, kidmin, children’s church or children’s ministry to reflect on this powerful Bible passage. 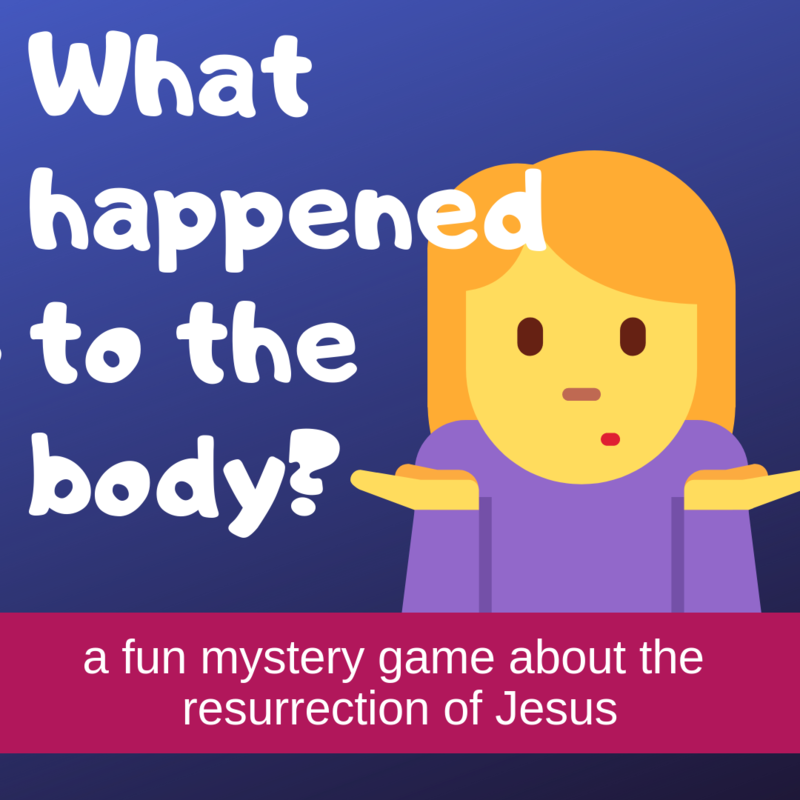 There were lots of rumours circulating about what had happened to the body of Jesus. In this mystery game (á la Cluedo) the children get to interview a number of suspects, including Dr. Bob Well and commissioner of police B. Hunter about what happened to the body of on J of N which has disappeared from the mortuary. A modern parable of the resurrection of Jesus. 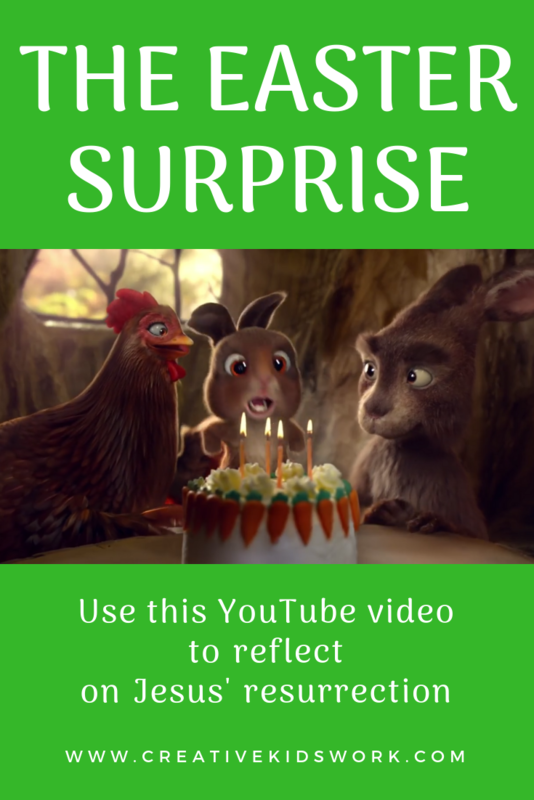 This video shows the birth of the Easter bunny, a little rabbit that is born from a rabbit and a chicken, and who lays a brightly coloured egg each time he is afraid. He gets bullied because of this, and eventually runs away from home. In the town he finally finds recognition, but realises that the only place he really wants to be is with his parents; he goes back home. 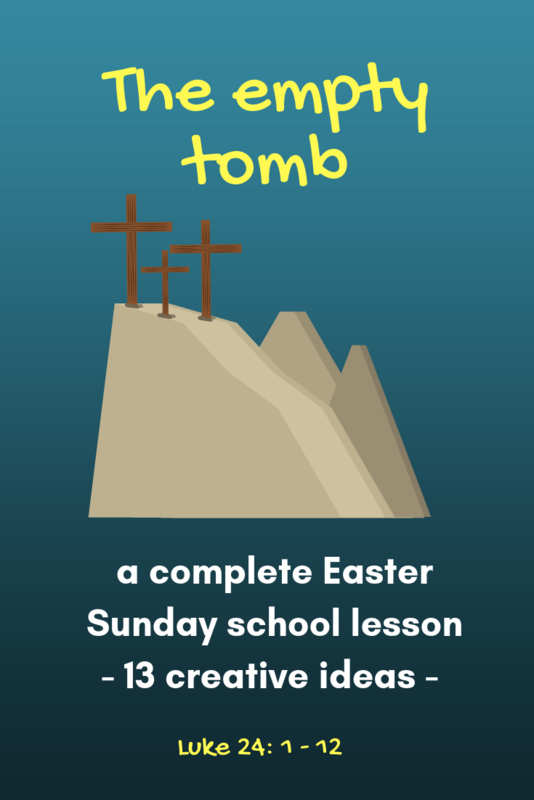 This idea is part of a complete Sunday school lesson on the Easter Bible story in Luke 24:1-12. 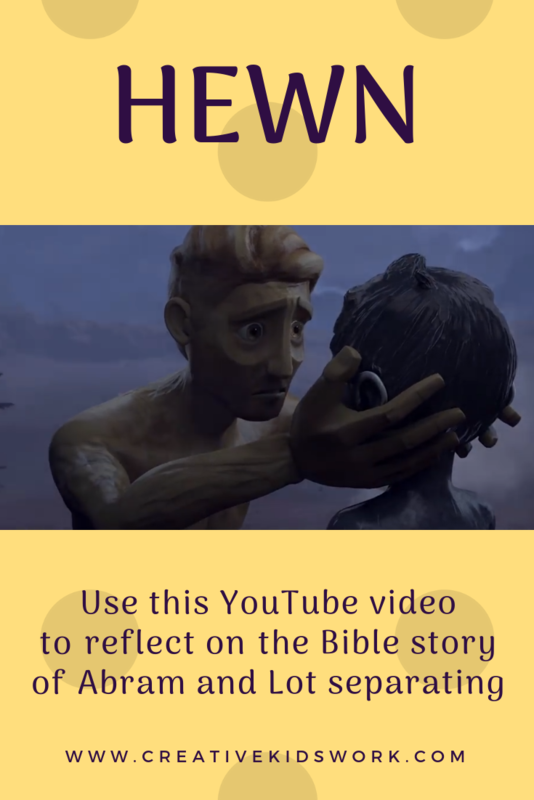 This video will help the children in your Sunday school lesson, youth ministry, Bible lesson, VBS, kidmin, children’s church or children’s ministry to reflect on this powerful Bible passage. Why is this film applicable to the story of the resurrection? Obviously the Easter bunny doesn’t exist, so why watch a film about the Easter bunny to talk about the resurrection of Jesus? 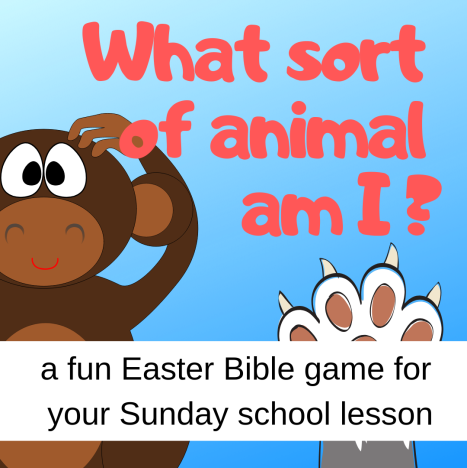 You can use it to talk about the secular celebrations of Easter, such as the Easter bunny, and the true meaning of Easter. - do I want to show this to the children? - does this film work in the context and age-range of the children I am working with? When the women arrive at the grave and find it empty, they have no expecations. Can they really trust what the angels said? They ended up bursting to tell the other disciples the news. Early on the third day, the women went to the grave bringing with them the special spices they had prepared for Jesus' body. Can the children smell what they are? - containers with different smelling spices and fruits: a vanilla pod, cinnamon stick, star anise, lemon or orange peel; any others you can think of and have in your kitchen. This idea provides a great introduction to the Biblical story of the resurrection. 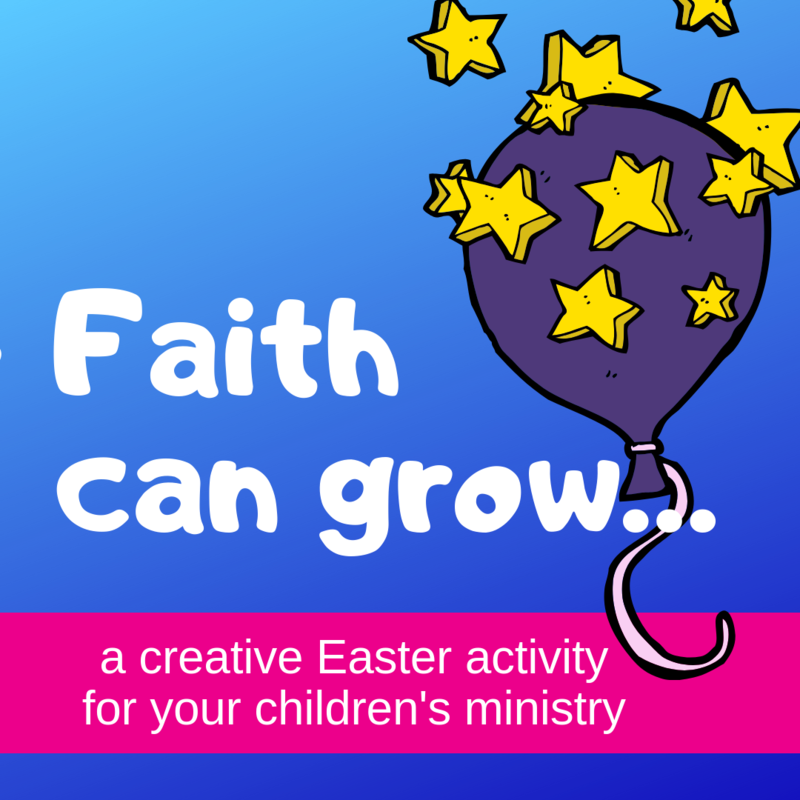 We understand that these eleven ideas are way too many to fit into just one Sunday school lesson, but we want to give you the opportunity to pick and mix, so that you can choose the ideas that fit with you and with your group of children. At the moment that Jesus dies, he surrenders himself to God: ‘Into your hands I place my spirit’. What does this mean and how can we surrender to God? There are also two thieves being crucified next to Jesus. One of them insults Jesus. The other thief knows that he is a criminal and that he has earned his punishment. He also knows that Jesus has done nothing wrong. He asks Jesus to help him, and there and then Jesus forgives him and promises him a place in heaven. This is how quickly salvation can take place. But how quickly can the children do this game? 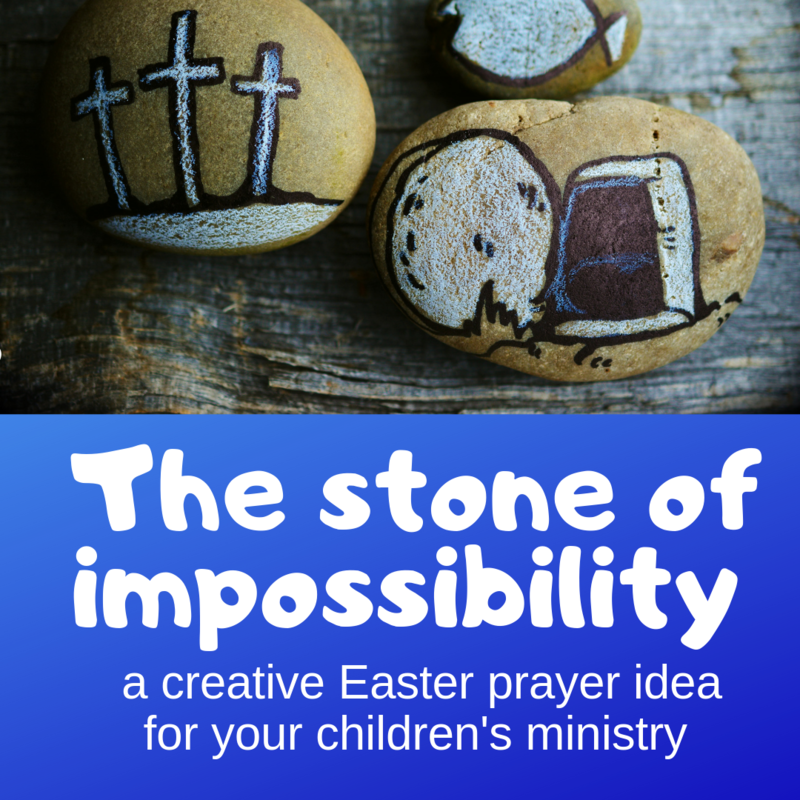 This idea is part of a complete Sunday school lesson on the Easter Bible story in Luke 23:26-56. 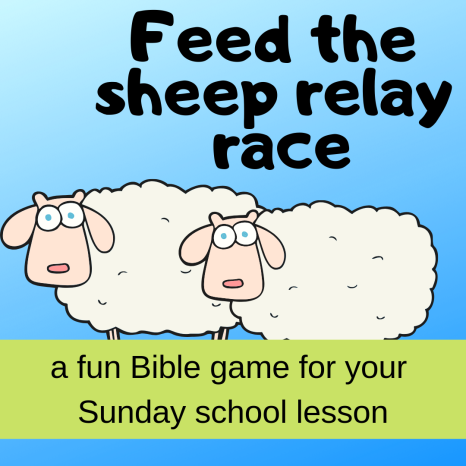 This game will help the children in your Sunday school lesson, youth ministry, Bible lesson, VBS, kidmin, children’s church or children’s ministry to reflect on this powerful Bible passage. As Jesus is hanging on the cross he calls out ‘Father forgive them, for they do not know what they are doing’. Despite the terrible things they have done to him, Jesus prays that those who have crucified him will be forgiven. 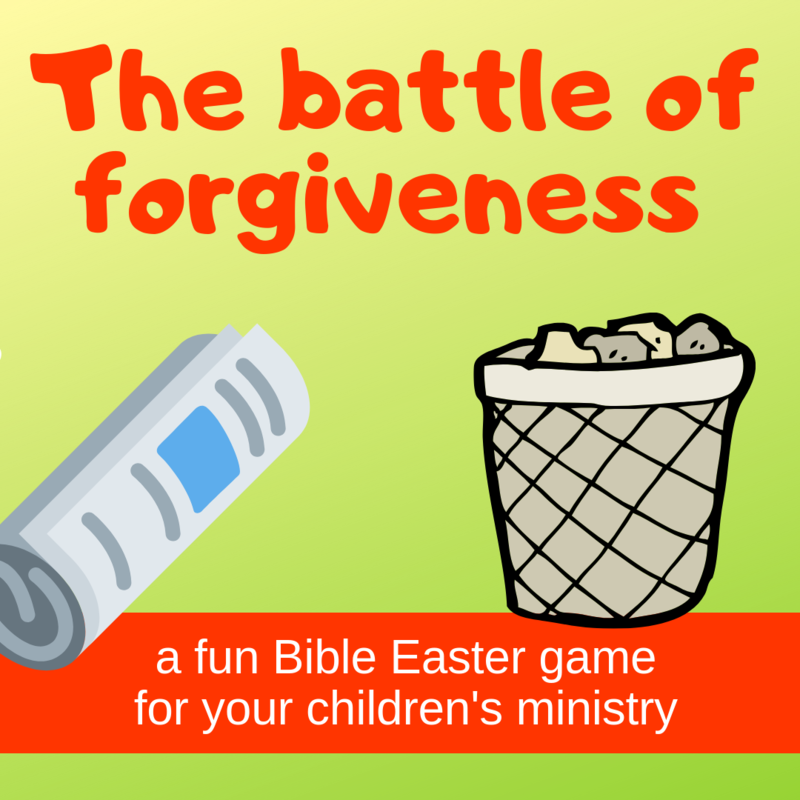 This game illustrates what is involved as we also try to forgive people. On the road to Golgotha there are women standing crying. Jesus tells them not to cry for him, but for themselves, for Jerusalem. Jesus knows that in forty years the whole of Jerusalem will be destroyed and many people will lose their lives. 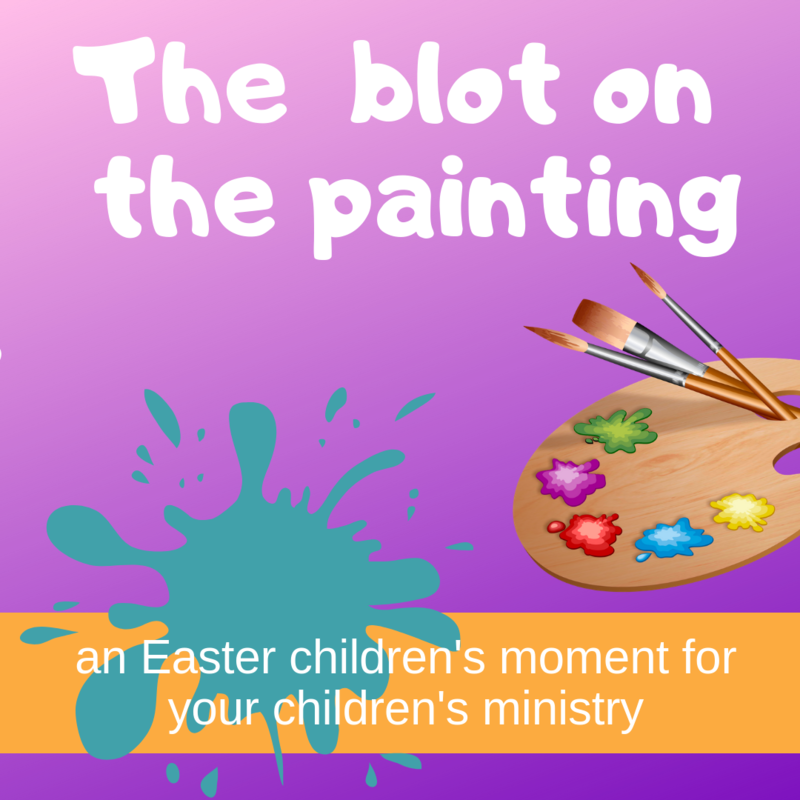 This creative activity will help the children in your Sunday school lesson, youth ministry, Bible lesson, VBS, kidmin, children’s church or children’s ministry to reflect on this powerful Bible passage. 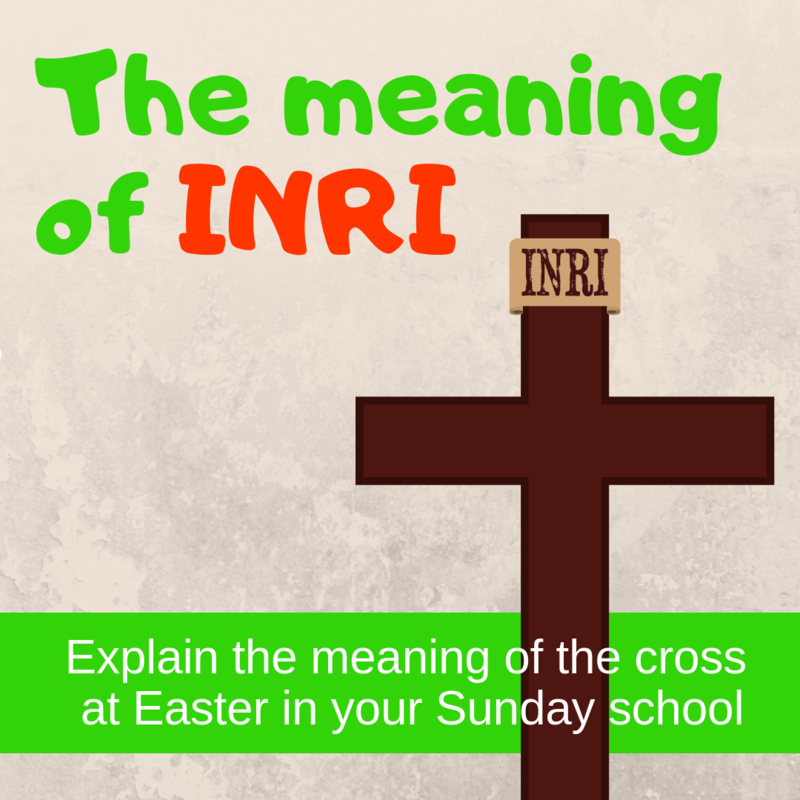 In many churches you see the word ‘INRI’ above the cross. This is a summary of the text that was put above Jesus’ cross. But what does it mean? Let’s discover it, using salt dough. 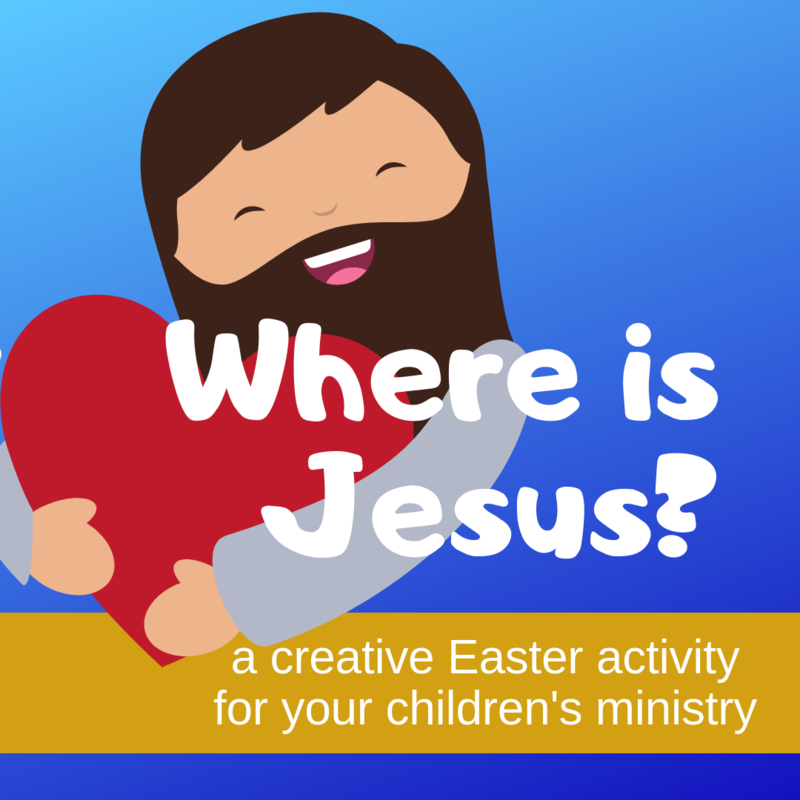 How do we explain to children the mystery of what happened on the cross? You’ll get quite a long way with these two torches and their batteries. This object lesoon will help the children in your Sunday school lesson, youth ministry, Bible lesson, VBS, kidmin, children’s church or children’s ministry to reflect on this powerful Bible passage. A simple but powerful experiment that you can use to demonstrate the power of the gospel and the death of Jesus. 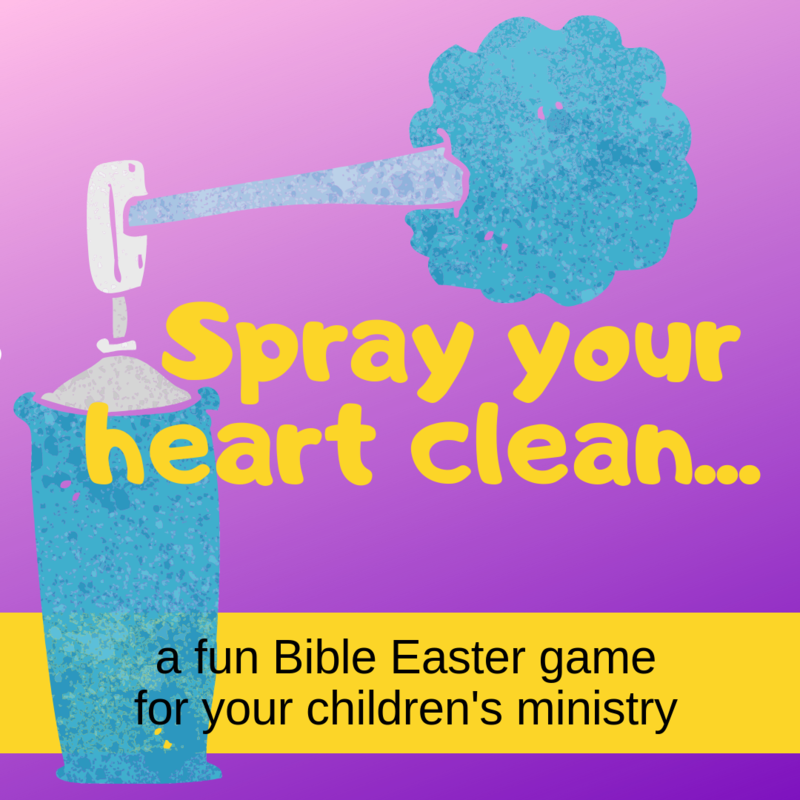 This experiment will help the children in your Sunday school lesson, youth ministry, Bible lesson, VBS, kidmin, children’s church or children’s ministry to reflect on this powerful Bible passage. 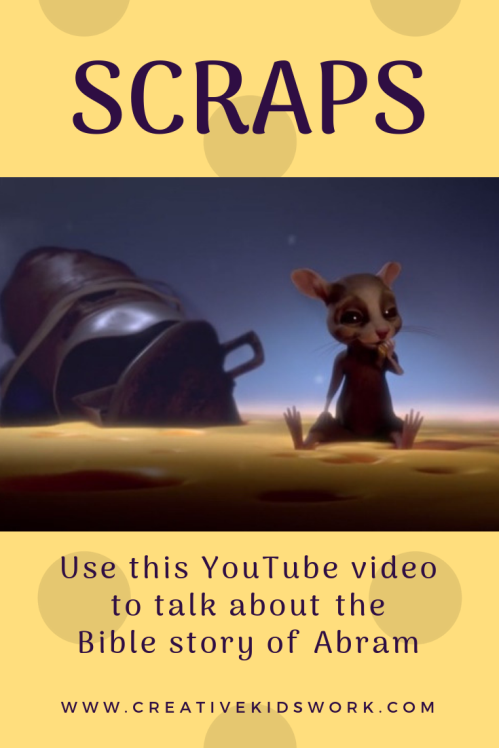 Use this secular YouTube video to hold a creative discussion with the children about the Bible story. A robot falls in love with a doll. They even get married, but one day the doll can’t do anything anymore. Her batteries are empty. As the doll comes back to life, we see the robot sitting lifelessly next to her. He has given her his batteries so that she can come back to life. Why is this film applicable to the story of the crucifixion of Jesus? In our story today Jesus gives his life for us. He died so that we can live again. - new and old batteries. How do you know if the battery has any energy? You could put the battery into a clock to see if it will work, or you could test the battery with a battery tester. The children can take it in turns to test their battery. Is it empty, half empty or completely full? You can’t tell just by looking if a battery is empty. 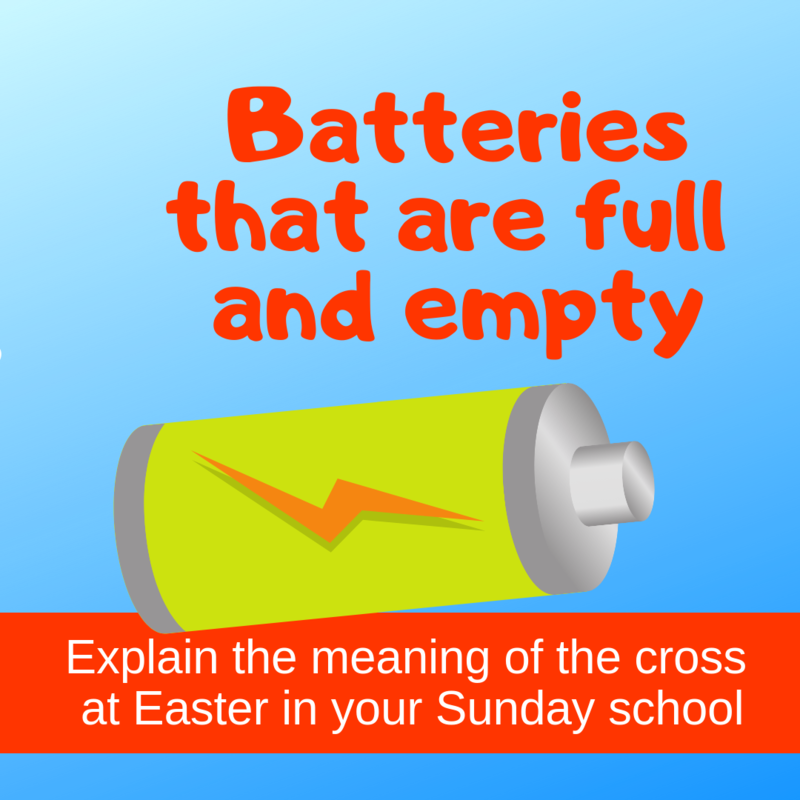 Today we’re going to watch a video in which empty batteries play an important part, and are also part of the Easter story. Shall we watch? What does this video have to do with Easter, do you think? 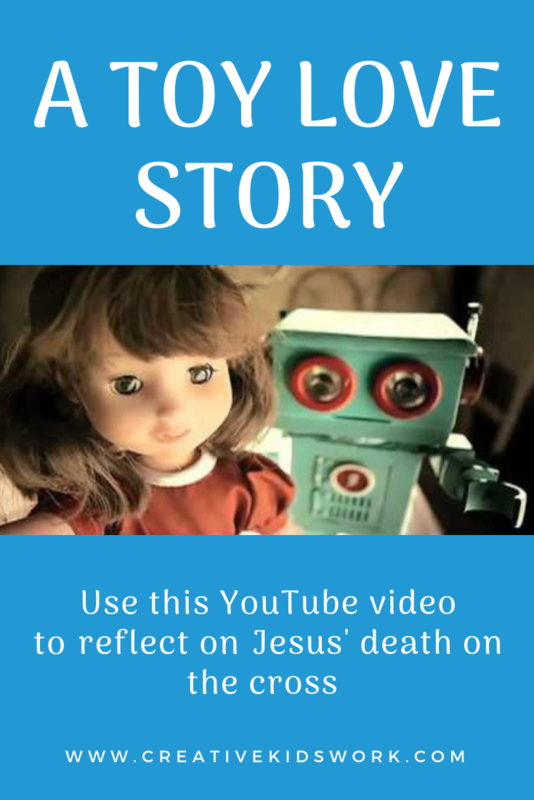 Just as the robot gave his life to the doll he was married to, Jesus gave his life for us. The example of the batteries is a lovely one. Show the children a torch that works because its batteries are full, and a torch whose batteries are empty. Take the batteries out of the working torch and put them in the torch that was empty. This is just like Jesus. He knows that our batteries are empty and gives his own life giving energy to us, so that we can shine again. - What are the empty batteries in our lives? - How come our batteries are empty? - What sort of light to Jesus’s batteries give? A cracking way to introduce today's story on Jesus dying on the cross. 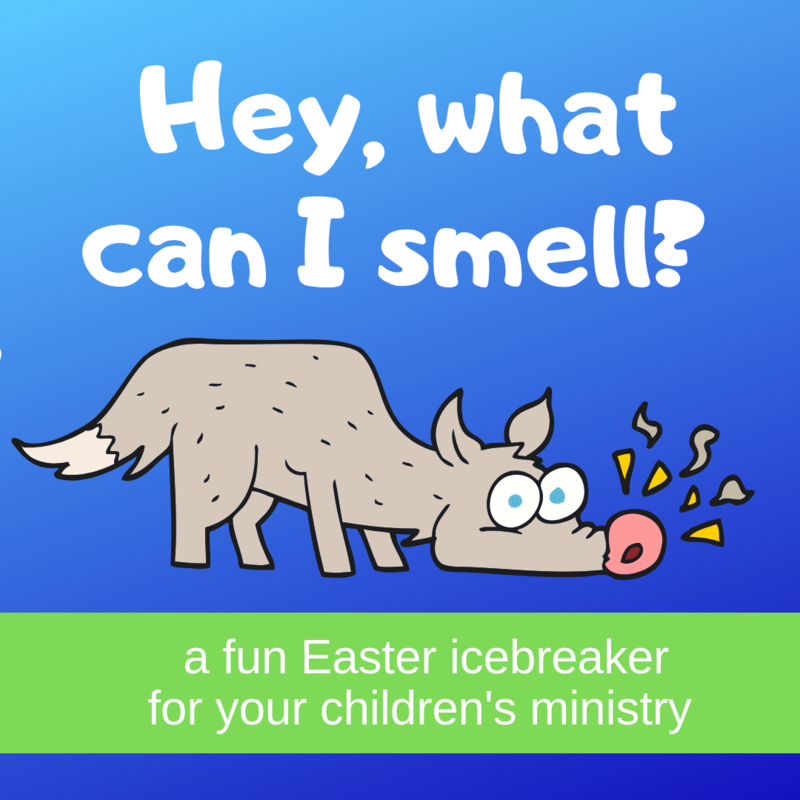 This icebreaker will help the children in your Sunday school lesson, youth ministry, Bible lesson, VBS, kidmin, children’s church or children’s ministry to reflect on this powerful Bible passage. 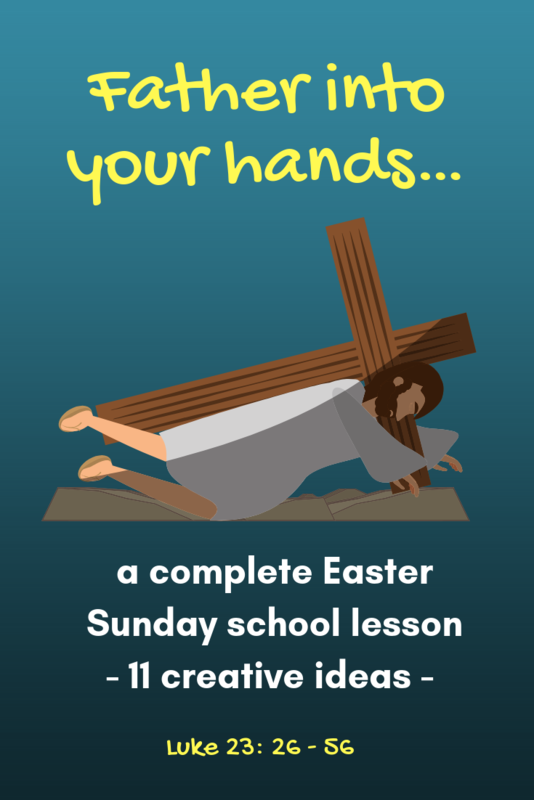 A fun children's moment to introduce today's story on Jesus dying on the cross. This children's moment will help the children in your Sunday school lesson, youth ministry, Bible lesson, VBS, kidmin, children’s church or children’s ministry to reflect on this powerful Bible passage. 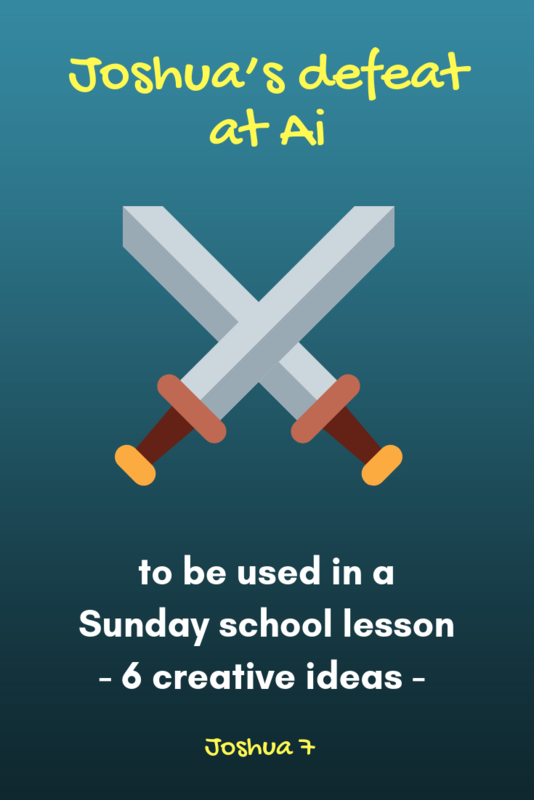 Are you looking for a complete Sunday school lesson on the Bible story of Joshua's victory at Jericho and his defeat at Ai? It is quite a hard Bible story to do with Achan's sins and the severe punishment that follows. 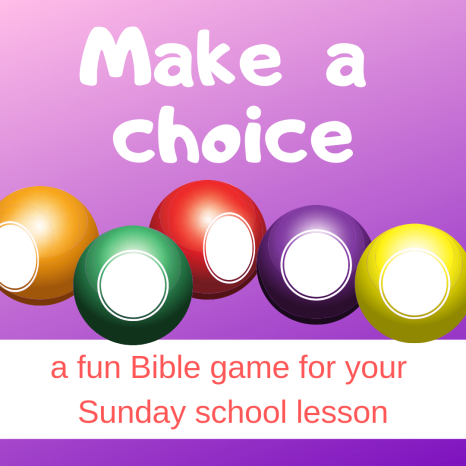 Maybe it is a Bible story that you prefer to skip within your youth ministry, Sunday school lessons or Bible lessons. We have created an illustrated PDF booklet containing these six creative ideas. Using this PDF booklet you can print all these ideas at home at your leisure. Abram and Lot say goodbye to each other and travel their own ways. today we’re going to pray for others who are travelling. Abram and Lot had decided to separate. Lot was allowed to choose first. What a beautiful country! It looked like the garden of Eden. Lot knew exactly what he was going to choose. What do you think the land looked like? 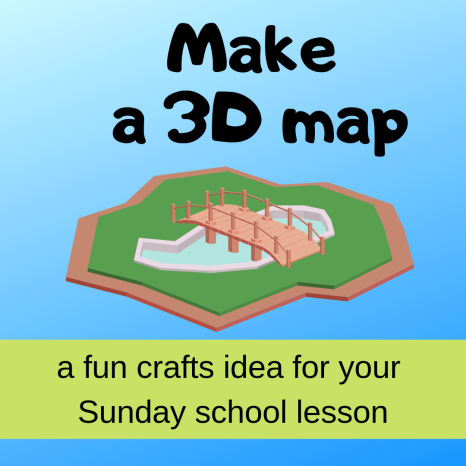 This crafts idea / object lesson will help the children in your Sunday school lesson, youth ministry, Bible lesson, VBS, kidmin, children’s church or children’s ministry to reflect on this powerful Bible passage. Abram and Lot were nomads – they lived in tents and moved around. This meant that they could move to the places where there was enough food for their sheep and cows. Abram and Lot’s shepherds are arguing. There isn’t enough food for all their sheep, goats and other animals. What does it feel like to have not enough food, that you then also have to share with others? Abram lets Lot choose – ‘where do you want to live?’ Lot chooses the best piece of land, but ends up in the wrong place. Abram gets the second best piece of land, but God blesses him. Abram and Lot really has the same problem as we do. How can we live together with each other in a country and in a world that is getting fuller, and where we really need to think carefully about how we treat the land and the raw materials we need? - a chessboard (or draughts board – a board with 64 spaces. Due to the length of the text this idea can be downloaded as a PDF below. Abram and Lot can’t both stay where they are. There is too little space. How can they best solve this? Abram and Lot choose to separate. Was there also maybe a better solution? Abram and Lot have to share. Sharing fairly can be very difficult. You can end up with the feeling that one person wins and the other loses. 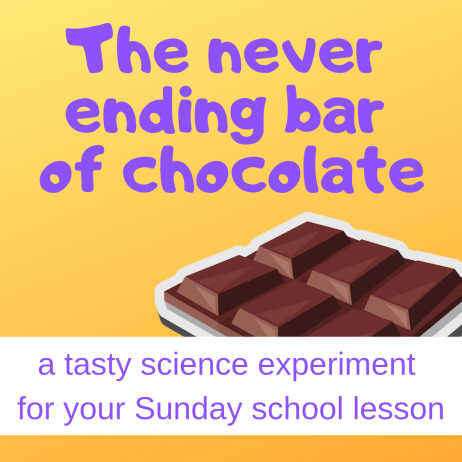 There are no losers in this experiment with the never ending bar of chocolate! You even win an extra piece of chocolate – or does it only seem that way? 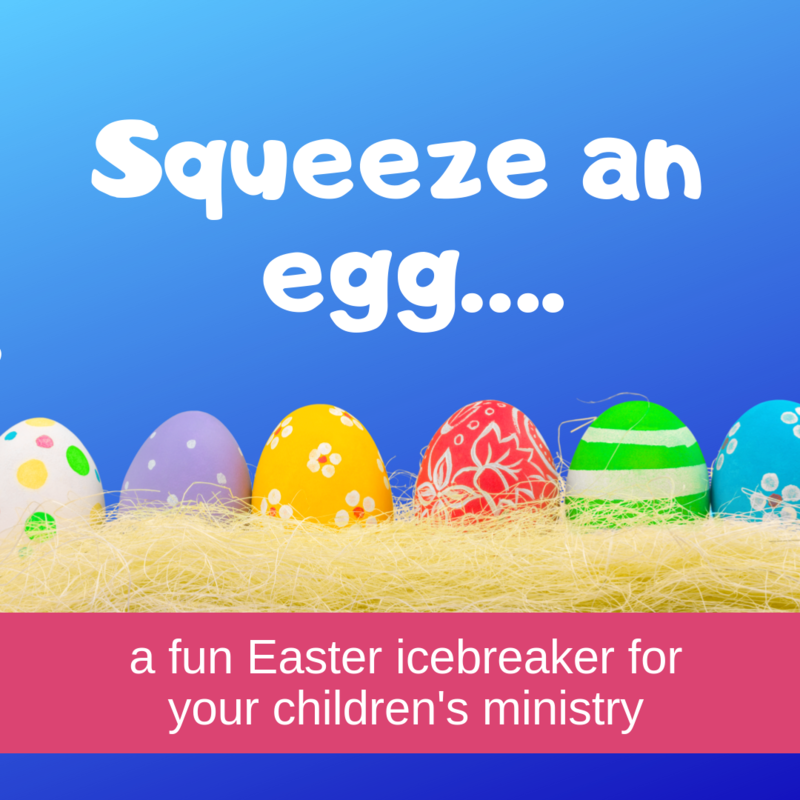 This tasty experiment will help the children in your Sunday school lesson, youth ministry, Bible lesson, VBS, kidmin, children’s church or children’s ministry to reflect on this powerful Bible passage. A father made of wood has a son made of iron. The fire in his son’s heart needs feeding with wood to keep it burning. The son eats everything that is made of wood – even their house collapses. The iron son sees what this is doing to his wooden father and runs away. Because he has no more wood to feed the fire, it goes out and he nearly dies. His father then puts a windmill in his heart, which also gives him energy, and the son comes back to life. Why is this film applicable to the story of the call of Abram? Abram and Lot are in a struggle for water and food. As in this film, there is not enough for both of them and their families. What do you do then? In the Bible story Abram and Lot separate. In the video the father looks for a solution which means that they can stay together. Which is better? Due to the length of the text this idea can be downloaded as a PDF. A mouse wants to go to the moon because he thinks that the moon is made of cheese. He builds a rocket, flies off and lands on a large piece of cheese. He thinks that this is the moon, but he has landed on a large piece of cheese in the cheesemongers. Both Abram and the mouse go on a journey because they have a dream. Abram dreams of the promised land and a large number of descendants. God has promised him this. Do they both reach their destination? Why (not)? Thankfully we know what kind of king Jesus is. He is our King! 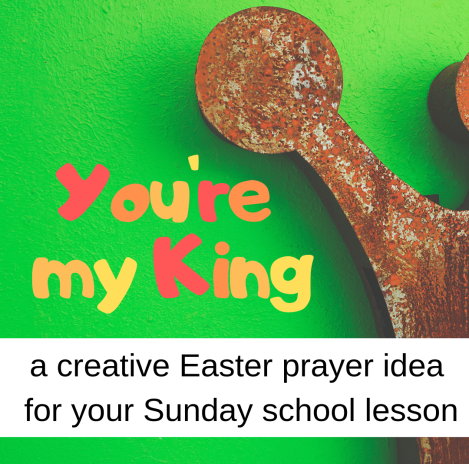 This idea is part of a complete Sunday school lesson on the Easter Bible story in Luke 23: 1 - 25. - the worksheet printed out on thick paper, one for each child. You can download the worksheet below. The people in Jerusalem are certain – Jesus is wrong! Even Pilate isn’t certain any more – who is Jesus, and what sort of king is he? The people in Jerusalem shouted that they wanted Jesus to be crucified. Perhaps they don’t really even understand what they are shouting. But whatever happens – Jesus has to be crucified! 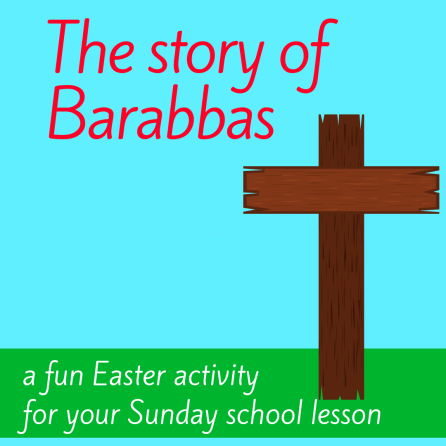 An interactive way of telling the story of Barabbas, the first person to be able to say of Jesus: “He died for me.” (John 18 – 19). This is the longer version. 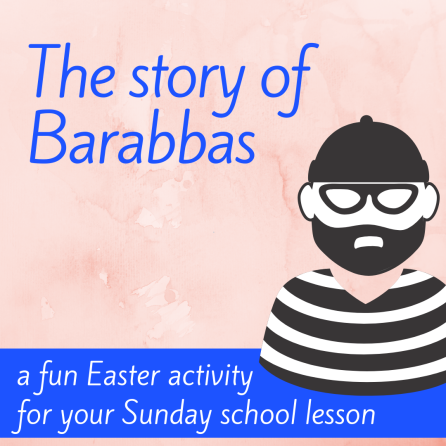 An interactive way of telling the story of Barabbas, the first person to be able to say of Jesus: “He died for me.” (John 18 – 19). This is the short version. Object lesson - Jesus is arrested: ‘Who does Pontius Pilate listen to?